Try to move and collect the colorful sticks carefully to win. These oversized sticks in bright colors are a perfect addition to your next game night. 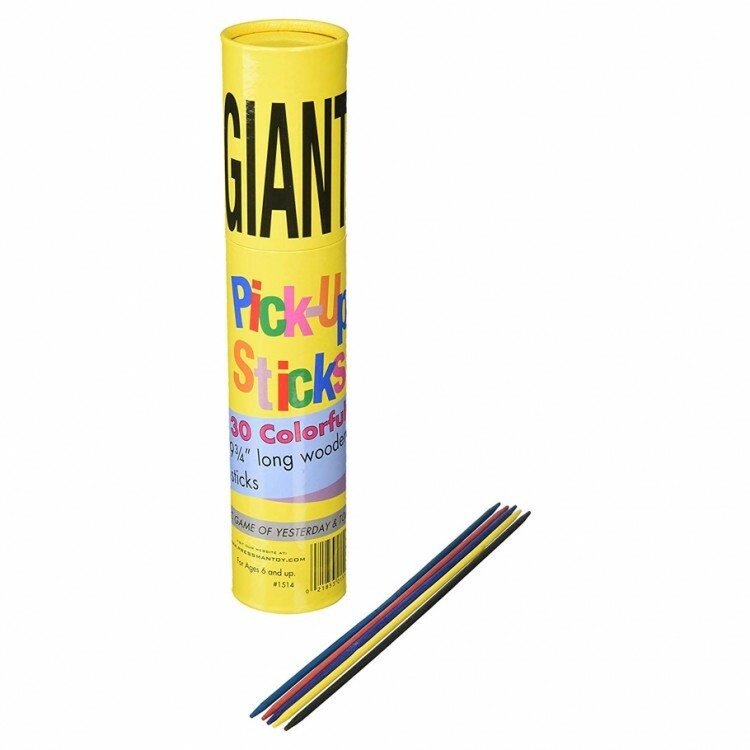 The game includes instructions and 30 colorful, 9 3/4” long wood pick-up sticks in a nostalgic, bright can!